Go with this for a moment: Boardercross, or Snowboard cross as it’s also known, is a cousin of cross-country skiing. Both are wintertime endeavors. Both involve sliding on frozen water. Let’s just say skinny skis and snowboards are within the Punnett square of crossing winter with sport. That brings us to another commonality; good glide is better. Manufacturers of nordic skis and snowboards most often use UHMW, or Ultra High Molecular Weight Polyethylene, for its base material. As a relatively low friction material, the goal for many is to decrease the base’s coefficient of kinetic friction even more by preparing ski bases with wax, grinds, topcoats, and rills. This is where the sporting cousins become distant cousins. Surely, snowboarders have their own subculture when it comes to base prep. But telling a diehard cross-country skier that any wax will do, is like telling a Napa oenophile that the Bota Box from Target has radiant tasting notes. In an effort to enhance its board prep service, the U.S. boardercross team, an offshoot of the U.S. Snowboard Team, essentially hired the Napa oenophiles when it signed on two midwest waxing aficionados in Andrew Joda and Paul Choudoir. Joda, a trained engineer who skied and coached at Michigan Tech, and Choudoir who raced at UW Green Bay, have become two parts of a three-person wax tech team for U.S. boardercross. 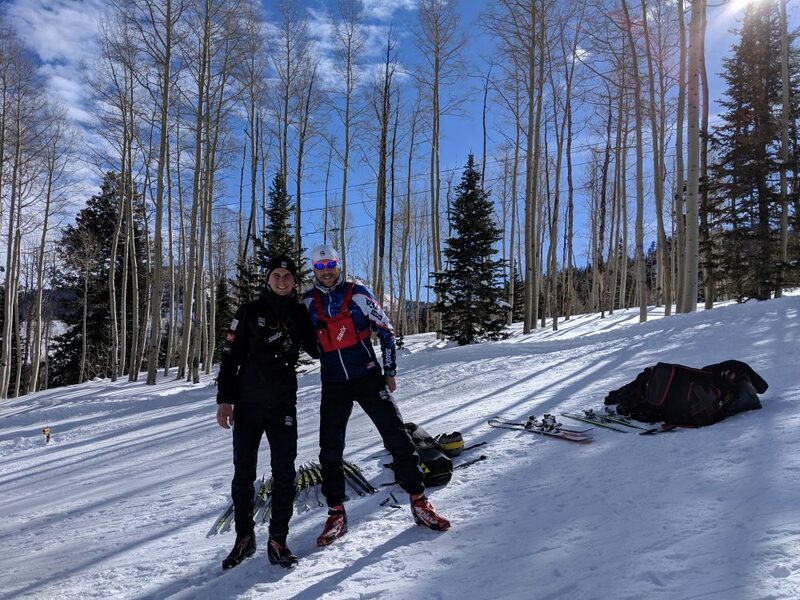 “This whole project came about last year, apparently there were some other teams, specifically the Italians, who had two guys on nordic skis testing wax during World Cup races,” Choudoir said. 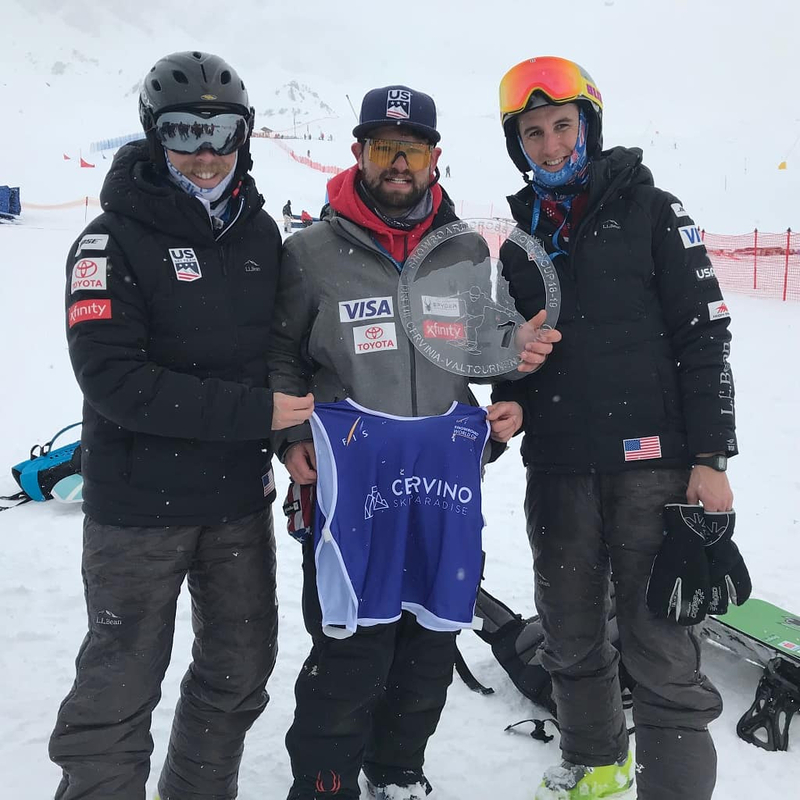 According to Choudoir, Peter Foley, U.S. Boardercross head coach, wanted to evolve the team’s waxing program to more than a one wax brand operation. “Foley had his finger on getting testing into the U.S. program because their process before was we will kind of hang on one brand and work from there and we will know what works,” Choudoir added. Boardercross requires a highly engineered course with banked turns, jumps, ramps. Gravity is your friend as speeds bump up to the 50 miles per hour. Supreme agility, balance, and bravado are a must. Events are similar to World Cup cross-country sprints. All athletes participate in an individual qualifier that lasts between 45 and 60 seconds. The top athletes make the heats. Then, depending on the venue, heats are run with four or six athletes. The top 50 percent in each heat (that’s two or three athletes) advance – there are no lucky losers. Staying upright is key — the course’s technical components can throw a snowboarder off balance. The scrum of close-contact competitors adds speeding bodies into the mix. And then there’s Joda’s and Choudoir’s critical job: a board’s raw speed. The two glide testers find an area adjacent the course for speed testing. They attempt to control for snow variables by trying to ensure the racecourse snow and test track snow is a close approximation of one another. Just to clarify, Joda and Choudoir wear relatively tight fitting nordic appropriate aero clothing. Along with their 45 mm wide skis, there’s no mistaking them for legit snowboarders. “We are not putting on some big snowboard pants to run some skis,” clarified Choudoir. The knowledge Joda and Choudoir bring to their service team is complemented by AJ Hoelke. Hoelke’s expertise in edge tuning and base prep comes from a tenure with the alpine side of the U.S. Ski Team. But for the two nordies, the mix of snowboards and concocting speed were two new problems to solve. Joda and Choudoir were first thrown into the boardercross mix in early November when they attended a team camp at Copper Mountain in Colorado. While there, they spent time with former boardercross tech Andy Buckley. There are different brushing and scraping, deeper grinds, and lots more wax per single board application. The workload per board so intense, the duo claimed they deplete a scraper per board. “What I have seen is very much a nordic vibe, in terms of hard workers,” commented Choudoir. One big difference he did note, they now use an electric scraper sharpener. This week the U.S. team is in Utah preparing for the FIS World Championship boardercross events beginning on Jan. 31. If you see two dudes testing glide on nordic skis alongside the boardercross course, you didn’t fly past Solitude Mountain Resort and end up in Soldier Hollow. That’s simply just part of the new boardercross scene.